When Blade Runner first opened in the summer of 1982, reactions were mixed. Despite universal praise for the film’s iconic, groundbreaking aesthetics, both audiences and critics alike were equally divided whether Ridley Scott’s dystopic, future-noir was an extravagant failure or a cinematic jewel. They’re still debating. Many modern audiences find Scott’s original film difficult to digest (perhaps even more than ever before). The glacial pace, mysterious characters and narrative ambiguity are unsettling and confounding for viewers comfortable with conventional stories and mainstream entertainment. The opposite of the franchise-driven cinematic fare of today, Blade Runner is very much an arthouse film, one that continues to surprise, delight and disappoint in equal measure. More a piece of existential philosophy than the science-fiction action-adventure that was promised in initial trailers, Blade Runner excels in the eyes of those who appreciate it despite (and perhaps because of) the attributes that might otherwise be criticised. Traditional movie conventions become less important after one becomes washed away in the movie’s unforgettable atmosphere and haunting mood, and the film’s narrative and thematic focus on artificial intelligence, memory, identity and the value of life, results in a thought-provoking cocktail of symbolism and meaning, whilst operating on top of a startlingly simple plot. There is no central mystery in Blade Runner, no burning secret that the characters must unravel or MacGuffin that must be found. Yet the film’s provocative subtext leaves a receptive viewer always pondering and wanting more. All of these reasons make it all the more baffling that a sequel to this 35-year-old property ever got off the ground. Unlike Han Solo or Indiana Jones, Rick Deckard is the darkest and most twisted of Harrison’s Ford’s most famous trio of roles, and one no one ever expected him to reprise, with good reason. Although the 1982 film ends on a kind of cliffhanger, it was more of a statement than a setup for further adventures. Now, with the release of Blade Runner 2049, the story continues, which is, fundamentally, the big problem. 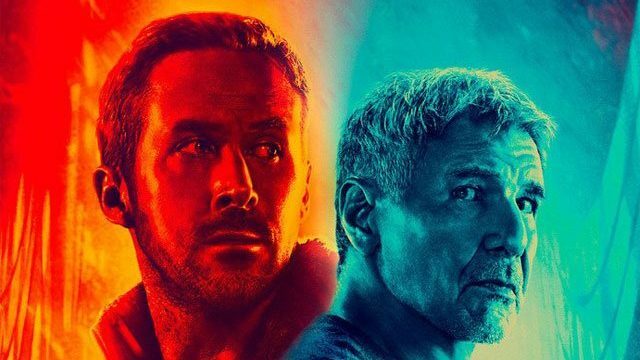 At its core, 2049 is a beast serving two masters, dutifully trying to imitate the arthouse expressionism of the first film whilst also burdened with the onus of a far more conventional, franchise-spawning plot. To be fair, the new film is not without its strengths. Ryan Gosling, seemingly born to portray an emotionally restrained robot, transplants his Drive persona essentially wholesale into this film, to great effect. Like Drive director Nicholas Winding Refn, 2049 director Denis Villeneuve understands the visual potency of merely pointing a camera at Gosling’s near-motionless face and allowing his eyes to do the acting in long close-ups. The film’s visual effects are similarly engaging, with clearly no expense spared in rendering virtual landscapes, digital characters and all sorts of chaotic pyrotechnics. And one truly compelling character, Joi, portrayed by Ana de Armas, stands out as the film’s most unique and creative invention, so much that you are left wishing that the filmmakers explored this character further. In contrast, 2049, by virtue of its plot, deals far more immediately and directly with notions of re-discovering humanity and the profound value of life, yet these ideas feel out of place in the world of the movie, and quickly descend into by-the-numbers plotting and cliched sentimentality. This leads us to 2049’s weaknesses, of which there are many. Originally, I was going to comment individually on the film’s failures as a sequel, as well as its problems as a stand-alone piece. But the more I reflected on this, the more I realised how intertwined those two categories are. This is due to the fact that while 2049 shares some of the arthouse principles of the original (extremely long takes, large stretches without dialogue, muted performances), these techniques do not work in service of 2049’s more traditional, narrative-driven plot. 2049’s story is a complex, conspiratorial mystery that keeps audiences guessing until the final reveal. It is a detective story. A gumshoe whodunnit. Whilst this might sound compelling on paper, it is totally at odds with the form and function of the first film, which merely used the detective story as a jumping-off point, resulting in a jarring clash of style and substance. Since 2049 is making a sincere effort to feel like Blade Runner, the movie is fundamentally working against itself. This clash becomes evident and apparent inside every element of the film’s production. In terms of characters and performance, 2049 feels a whole lot more literal and whole lot more traditional. Characters like Rick Deckard and Rachael were once ciphers. Enigmas. Impressionistic shadows that dared the audience to ponder what they might be thinking, if it was even possible to relate to them at all. This made the film’s thematic ideas about the loss of humanity, mechanisation and over-population all the more engaging. Blade Runner is (amongst many things) a story about our detachment from our own humanity, thusly it is cold, dark, sometimes scary and ultimately moving. In contrast, 2049, by virtue of its plot, deals far more immediately and directly with notions of re-discovering humanity and the profound value of life, yet these ideas feel out of place in the world of the movie, and quickly descend into by-the-numbers plotting and cliched sentimentality. The ways that the new film treats Deckard and Rachael feels like the filmmakers have watched the original film with the volume turned off; they don’t feel remotely like the same people. Likewise, the overuse of callbacks and nods to the ’82 movie become quickly egregious, the worst of which being a truly awful cameo by Edward James Olmos as Gaff, which singlehandedly manages to deflate all of the character’s mystique, appeal and originality in thirty seconds or less. The film’s editing and musical score are another area where the filmmakers are seemingly trying to align their style and technique with that of the original, but to their detriment. Firstly, the film is stunningly long. At almost three hours, it’s a whole forty-five minutes longer than the original, but it feels like more, due both to the film’s overlong story and the style in which it was cut. Editor Joe Walker and Villeneuve have adopted a laborious visual approach that both portrays material that would likely otherwise be trimmed, and lingers on moments far longer than usual. In conjunction with Hans Zimmer and Benjamin Wallfisch’s droning, intrusive score (which contains none of the imagination of Vangelis’ original, genre-hopping music), this can result in many moments outstaying their welcome. This problem is also innately connected to the shortcomings of the film’s visuals. Despite the polish of the film’s digital effects, the in-camera photography (captured by celebrated DP Roger Deakins) feel strangely uninspired. Many of the environments appear somewhat flat and evenly lit, whereas other more extravagant lighting setups feel staged and phoney. Most importantly, 2049 doesn’t build on or develop the look of the original, and ultimately ends up looking and feeling like a pale imitation. For example, just compare the lighting and visual splendour of Deckard’s apartment in Blade Runner, with the cut-and-dry flatness of Gosling’s apartment in 2049. I appreciate that they’re two very different people, but the organic richness of Jordan Cronenweth’s stunning cinematography was sorely lacking here. Ultimately, the biggest sin committed by Blade Runner 2049 is that there is a better movie inside it. Pulling away a lot of the literal focus on the mystery plot and exploring more thoroughly the relationship between Ryan Gosling and Ana de Armas would have allowed the movie to truly function as a thematic and spiritual successor to the original. Revelations at the end of the film point towards another sequel, and obvious hopes for multi-film franchise, but poor box office results mean that these plans will likely never eventuate. Such was the folly of thinking that Blade Runner was merely another dormant intellectual property, waiting to be exploited. I suspect that whilst the first film will continue to be revered as a cinematic jewel by those who love it, Blade Runner 2049 will eventually be lost in time.